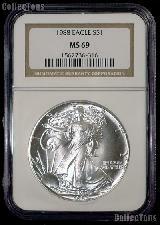 We are pleased to offer for sale this 1988 American Silver Eagle Dollar coin graded and encapsulated as MS-69 by NGC. There were only 5,004,646 of these 1988 Silver Eagles minted at the West Point Mint. The American Silver Eagle Dollar series has run from 1986 to date. American Silver Eagle Bullion Coins weigh 31.101 grams and are comprised of .9993 silver and .0007 copper. 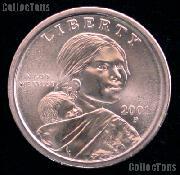 These 1oz pure silver American Eagle Dollars have a diameter of 40.6 mm. This Silver Eagle is of great worth and value to the collector looking to fill out their Silver Eagle Set! We offer an incredible selection of PCGS and NGC certified American Silver Eagle Dollars! Check out all of our Certified American Silver Eagles! 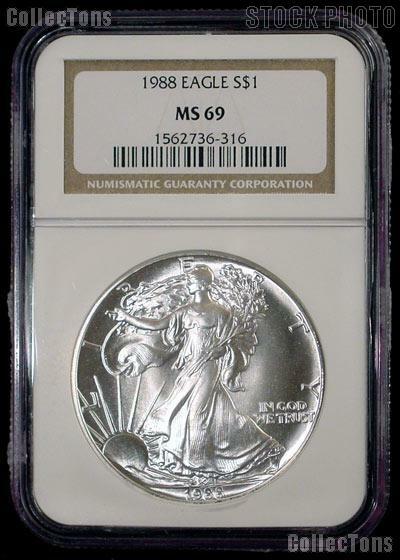 Don't miss out on this rare high grade 1988 American Silver Eagle Dollar in NGC MS 69 at this low price!